Top-quality embedded system design and engineering services, experts with the Ubicom IP2022, Microchip PIC, and many other microcontrollers. Team - Steven Ellis, Torsten Pihl and Eric Smith. Computing Onward or Retro is a good thing. The Gallery at Brouhaha is has some interesting vintage computer and calculator pics. 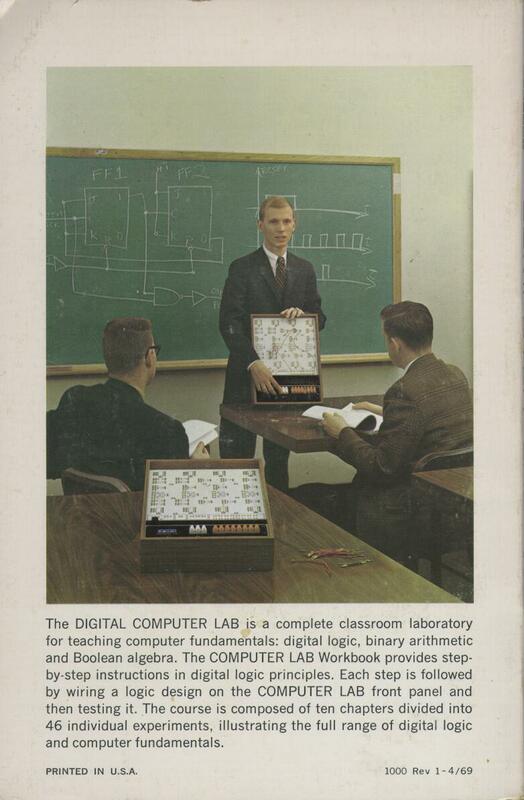 DEC's COMPUTER LAB was a hands-on digital logic trainer. It provided gates, flip-flops, a clock source, switch inputs, and lamp outputs. The user wired it with patch cords.